The simultaneous purchase and sale of an asset in order to profit from a difference in price. It is a trade thatprofits by exploiting price differences of identical or similar financial instruments, on different markets. A motion to sell (offer), indicating a willingness to sell a futures contract at a given price. A type of futures contract that expires anytime past the current contract month (also referred to as a "far month contract"). The difference between the current cash price and the futures price of the same commodity. The basis is determined by the costs of actually holding the commodity versus contracting to buy it for a later delivery (i.e. a futures contract). The basis is affected by other influences as well, such as unusual situations in supply or demand. Unless otherwise specified, the price of the nearby futures contract month is generally used to calculate the basis. An individual or firm that arranges transactions between a buyer and a seller, and gets commissions when the deal is executed. 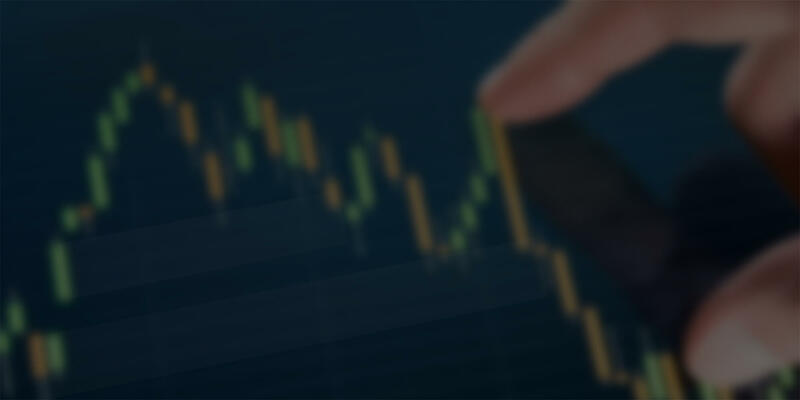 In commodity futures trading, the term may refer to: (1) Floor Broker - a person who actually executes orders on the trading floor of an exchange; (2) Account Executive or Associated Person - the person who deals with customers in the offices of Futures Commission Merchants; or (3) the Futures Commission Merchant. A motion to buy (purchase price), indicating a willingness to buy a futures contract at a given price. One who expects price to decline. A place where people buy and sell the actual commodities, i.e., grain elevator, bank, etc. See Spot and Forward Contract. The price of the actual physical commodity that a futures contracts is based upon. Unit of trading for a financial or commodity future. Also, actual bilateral agreement between the parties (buyer and seller) of a futures or options on futures transaction as defined by an futures exchange. The maximum price range set by the exchange each day for a contract. A Trading Limit does not halt trading, but rather, limits how far the price can move in a given day. An order that is placed for execution during only one trading session. If the order cannot be executed (filled) that day, it automatically expires at the close of the trading session. The transfer of the cash commodity from the seller of a futures contract to the buyer of a futures contract. Each futures exchanges has specific procedures for delivery of a cash commodity. Some futures contracts, such as stock index contracts, are cash settled. A specific month in which delivery may take place under the terms of a futures contract. Also referred to as contract month or Front month. According to Chicago Board of Trade rules, the first day on which a notice of intent to deliver a commodity in fulfillment of a given month's futures contract can be made by the clearinghouse to a buyer. The clearinghouse also informs the seller who they have been matched up with. A firm or person engaged in soliciting or accepting and handling orders for the purchase or sale of futures contracts, subject to the rules of a futures exchange and, who, in connection with solicitation or acceptance of orders, accepts any money or securities to margin any resulting trades or contracts. The FCM must be licensed by the CFTC. A legally binding agreement, made on the trading floor of a futures exchange, to buy or sell a commodity or financial instrument sometime in the future. Futures contracts are standardized according to the quality, quantity, and delivery time and location. The purchase or sale of a futures contract as a temporary substitute for a cash market transaction to be made at a later date. Usually it involves opposite positions in the cash market and futures market at the same time. The practice of offsetting the price risk inherent in any cash market position by taking an equal but opposite position in the futures market. Hedgers use the futures markets to protect their businesses from adverse price changes. See Selling (Short) Hedge and Purchasing (Long) Hedge. The minimum value on deposit in your account to establish a new futures or options position, or to add to an existing position. Initial margin amount levels differ by contract. Lind-Waldock sets the level of Initial Margin required, and it may change at any time at Lind-Waldock's discretion. Increases or decreases in Initial Margin levels reflect anticipated or actual changes in market volatility. Also called "Initial Performance Bond." An order given for an options or futures trade specifying a certain maximum (or minimum) price, beyond which the order (buy or sell) is not to be executed. This is an Order Type in LindConnect for some contracts. Any transaction that offsets or closes out a long or short futures position. The minimum value that you must keep in your account in order to continue to hold a position. The Maintenance Margin is typically less than the Initial Margin, and also differs by contract. If your account falls below the Maintenance Margin requirement, you will receive a margin call. If you wish to continue to hold the position, you will be required to restore your account to the full Initial Margin level (not to the Maintenance Margin level). Also known as the Maintenance Performance Bond. Represents an asset class comprised of professional money managers known as commodity trading advisors (CTA's) who manage client assets on a discretionary basis, using global futures markets as an investment medium. A demand from a clearinghouse to a clearing member, or from a brokerage firm to a customer, to bring margin deposits up to a minimum level required to support the positions held. This can be done by either depositing more funds or offsetting some or all of the positions held. A daily accounting entry that is the bedrock of regulated futures bookkeeping. It's the end-of-day adjustment made to trading accounts to reflect profits and losses on existing positions. In other words, winnings are credited and immediately available to the account and losses are debited and immediately owed. This brings integrity to the marketplace because participants are not allowed to trade unless funds are available to cover the positions. An order to buy or sell a specified commodity, including quantity and delivery month at the best possible prices available, as soon as possible. An order to buy or sell at the end of the trading session at a price within the closing range of prices. This is an Order Type in LindConnect for some contracts. Indicates a willingness to sell a futures contract at a given price. Also called "Ask" (See Bid). A type of a limit order in which the market is at or better than the limit specified. The term is often used to help clarify that the order was not mistakenly given as a Limit when it looks like it should be a Stop Order. Funds that must be deposited as a performance bond by a customer with his or her broker, by a broker with a clearing member, or by a clearing member, with the Clearing House. The performance bond helps to ensure the financial integrity of brokers, clearing members and the Exchange as a whole. A specially constructed arena on the trading floor of some exchanges where trading in a futures contract is conducted. On some exchanges the term "ring" designates the trading area for a commodity. A market commitment. A buyer of an initial futures contract is said to have a long position and, conversely, a seller of an initial futures contract is said to have a short position. The generation of information about "future'' cash market prices through the futures markets. It has been said that futures markets are often the place of "original price discovery" because that's where the buyers and sellers are brought together to determine the price. As in any auction, the last price is considered to reflect the sum total of opinions about what price an item should be valued. An order that specifies the highest price at which a bidder will pay for a contract, or the lowest price a seller will sell a contract. This type of order is used to "limit" how much the trader is willing to "give in" on price to get the order filled. The last price paid for a commodity on any trading day. The exchange clearinghouse determines a firm's net gains or losses, margin requirements, and the next day's price limits, based on each futures and options contract settlement price. If there is a closing range of prices, the settlement price is determined by averaging those prices. Also referred to as Settle or Closing Price. Thinly traded options may be traded at a theoretical value. (1) The selling side of an open futures contract; (2) a trader whose net position in the futures market shows an excess of open sales over open purchases. See Long. One who attempts to anticipate price changes and, through buying and selling futures contracts, aims to make profits. A speculator does not use the futures market in connection with the production, processing, marketing or handling of a product. Sometimes called a Stop Loss Order, although it can be used to initiate a new position as well as offset an existing position. It's an order to buy or sell when the market reaches a specified point. A stop order to buy becomes a market order when the futures contract trades (or is bid) at or above the stop price. A stop order to sell becomes a market order when the futures contract trades (or is offered) at or below the stop price. An order to buy or sell at the market when and if a specified price is reached. A variation of a stop order. A stop with limit order to buy becomes a limit order at the stop price when the futures contract trades (or is bid) at or above the stop price. A stop order to sell becomes a limit order at the stop price when the futures contract trades (or is offered) at or below the stop price. This is an Order Type in LindConnect for some contracts.